Park Rules Page of the Turquoise Triangle Trailer Park in Cottonwood, AZ. 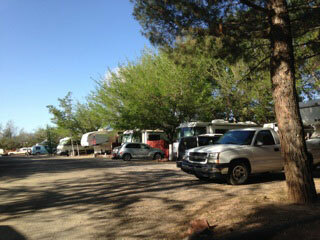 The Turquoise Triangle RV Park Management reserves the right to refuse or discontinue services to anyone at any time. For a copy of these rules in printable PDF Format. Select this text. 1 All rent is due in advance and is not prorated or refundable. 2. Speed limit is 5 mph. 4. There is $5.00 fee for each guest for each night of stay. 6. Parents are responsible for any damages caused by their children or guests. 7. Pets must remain on a leash and picked up after. Pets may not go into any Park facilities. NO pets are to be left unattended outside. 8. Please no barking or vicious dogs. No Staffordshire terrier (Pit Bull), Doberman pinscher, Rottweiler or German Sheppard. This is an insurance policy determination. 9. There is a dog walk in the wash behind the Park. Pick up after yourself in Park AND in wash.
10 No Fireworks in the Park at any time. 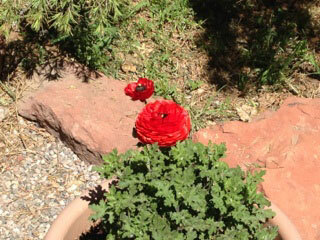 No open fires permitted, they must be contained and screened (AZ law). 11. All garbage must be in plastic bags and tied per the Health Department. 12. Auto repair in the Park is prohibited. 13. Due to the shortage of water, we support waterless vehicle washing. 14. Please keep your space clean and neat. Please no storage around RV's. 15. If storage is needed, please use a storage shed or rent a storage space. 16. Two vehicles 3/4 ton or smaller per space. 17. Please do NOT use RV washers, we are on septic tanks. No clothes lines outside. 18. Please DO NOT flush feminine products or paper towels into the septic system. 19. Please no storing of Campers or truck toppers on site. 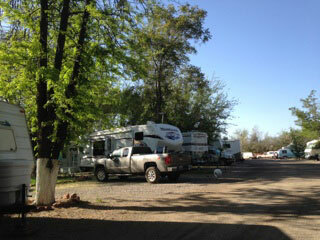 20 All RV's must have proper liability insurance and licensing. 21. Park facilities are for Park Residents only. 22. There is absolutely NO smoking or alcohol inside any Park facilities and no smoking within 20 feet thereof. 23. Due to extreme fire danger DO NOT throw cigarette butts on the ground. 24. Residents will be asked to leave after three written complaints or after the first offense with the Police involved. 25. Park management is not responsible for lost or stolen items. 26. Report all problems to the Park office. 28. Quiet time is 10:00 pm to 8:00 am. 29. Your $100.00 deposit will be refunded after the Park Management has Inspected your space and deducted your last electric usage. If your space is not cleaned, there will be a cleaning fee taken out.